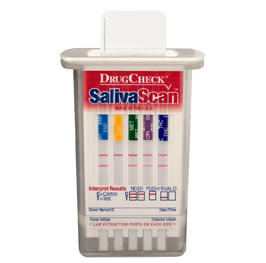 Saliva drug testing is an easier, less invasive way of drug testing, and is suitable to detect if your employees are "fit for work"
Urine tests are used as a deterrent of illicit drug use, as well as a detection method in determining if an illicit substance has been used in the past, such as on the weekend, or while on leave. 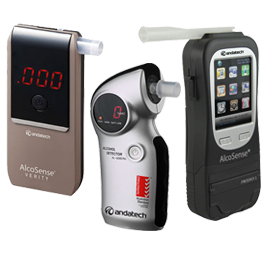 It will only detect "use", not if the employee is "under the influence"
MediNat Australia has the most comprehensive range of drug tests, drug testing kits, breathalysers and alcohol testing products to meet your workplace or personal requirements. Our drug testing kits are manufactured in ISO Certified facilities with full Quality Control to ensure the exceptional quality and accuracy of the drug tests we supply. 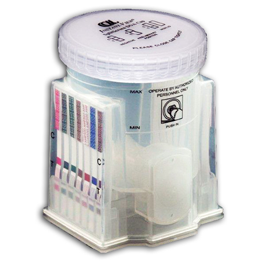 The majority of our Drug Testing kits are manufactured specifically for MediNat Australia to ensure compliance with Australian Standards thresholds, we also ensure all third-party drug tests and Breathalysers meet Australian Standards requirements and Certification. Our drug tests are all pre-tested by specialised drug test laboratories in Australia and internationally to ensure quality and accuracy is consistent and controlled with all drug testing devices supplied. Our commitment to quality and accuracy means you can purchase urine drug tests or saliva drug tests for your workplace drug testing program or medical clinic, onsite drug screening or for personal testing with the utmost confidence. Combined with our record of being exceptionally customer focused, with flexible and rapid supply and logistics systems to best service your drug testing needs wherever you are located, means MediNat Australia can supply what you need when you need it.